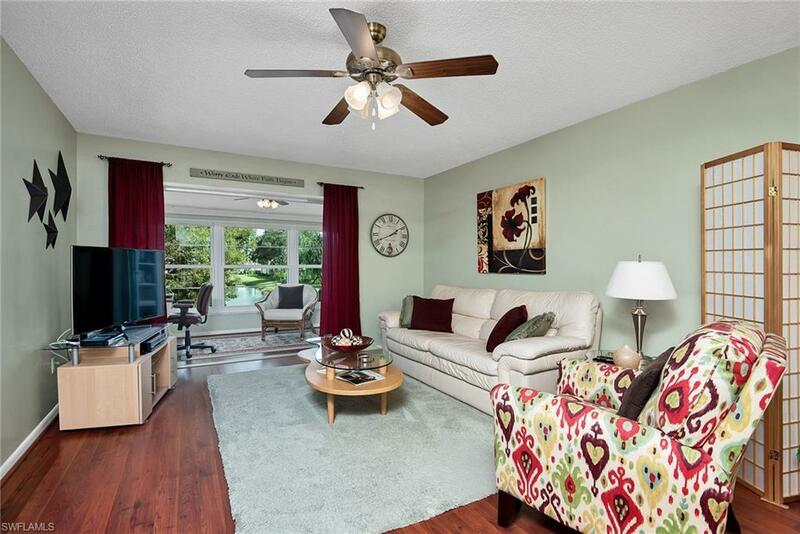 This move in ready & meticulously kept 2 Bedroom, 2 Full Bathroom unit in Myerlee Park West, is located next to Myerlee Golf & Country Club, within 12 minutes to Fort Myers Beach & Sanibel Island. 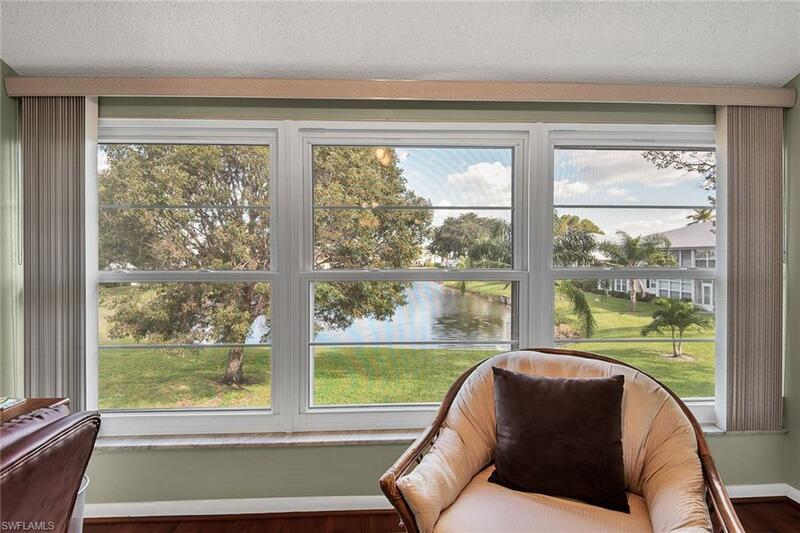 Sit & enjoy you morning coffee in the bright Florida room overlooking lush landscaping, while better yet, the greatest view of the entire complex a vantage point longways over the water stretching all the way to the clubhouse pool. This view immediately captivates anyone who makes entrance through the front door. 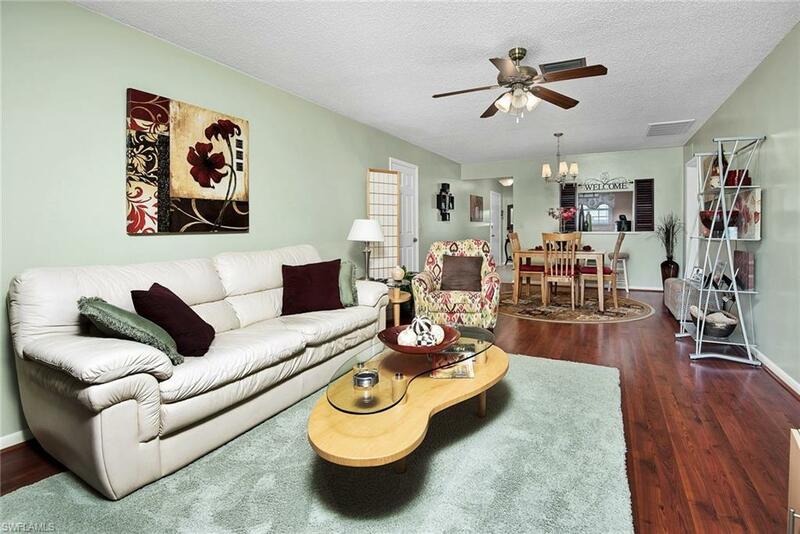 This second floor unit has been completely remodeled with such eye for detail. Hardwood flooring throughout; bathrooms are newly tiled. Feel safe during storms with new impact windows throughout; stylish look too! Washer and dryer in separate laundry room. Assigned parking right in front of entry door. This is a 55+age restricted community. 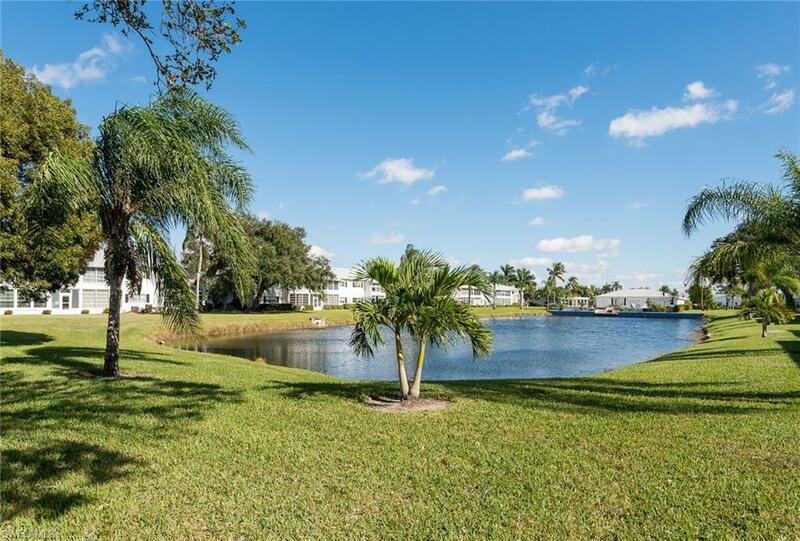 Great South Ft. Myers location close to beaches, shopping, health care facilities, churches, golf, dining, entertainment and the airport! Truly a place that you need to walk into to fully appreciate. Such a wonderful & serene place to call home. This one will most likely go very quick, so make sure to schedule your private showing today! Listing courtesy of Sandy Jean Cummings of Century 21 Sunbelt Inc.